Opened June 9th, 2012, San Angelo CrossFit (the original CrossFit gym of San Angelo) is a 4,000 sq/ft. fitness coaching facility located downtown on historic Concho Avenue. The facility’s prime location is catty-corner from San Angelo’s first park, City Park, and it practically touches the Downtown River Trail along the Concho river. 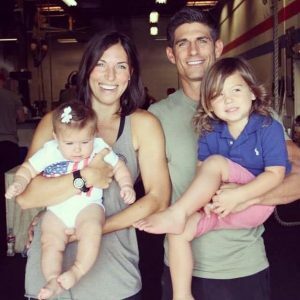 San Angelo CrossFit is proudly owned and operated by Brittany and Jeromy Speciale. As gym owners, Brittany and Jeromy seek to provide the special kind of atmosphere and community not found at any other fitness facility. They truly believe everyone should find whatever form of exercise gets them moving and motivated to live a healthier life. Because of this and the belief that each client has a different fitness journey, you’ll find the coaches at SACF enjoy working closely with each client to see they’re progressing with their fitness priorities. Fill out the form and prepare to change your life.